A high-concept, fantastical espionage novel set in a world where dreams are the ultimate form of political intelligence. Livia is a dreamstrider. She can inhabit a subject's body while they are sleeping and, for a short time, move around in their skin. She uses her talent to work as a spy for the Barstadt Empire. But her partner, Brandt, has lately become distant, and when Marez comes to join their team from a neighborhing kingdom, he offers Livia the option of a life she had never dared to imagine. Livia knows of no other dreamstriders who have survived the pull of Nightmare. So only she understands the stakes when a plot against the Empire emerges that threatens to consume both the dreaming world and the waking one with misery and rage. A richly conceived world full of political intrigue and fantastical dream sequences, at its heart Dreamstrider is about a girl who is struggling to live up to the potential before her. 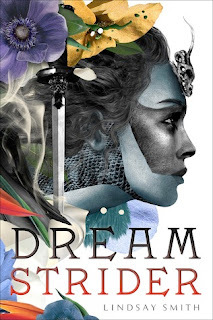 I'm surprised that Dreamstrider didn't catch more in the YA blogosphere-- it's got such a beautiful message, and should overlap with fans of Shadow and Bone as well as fans of Lindsay Smith's previous novels. On that note, the blend of religious elements, political intrigue, and magic as well as the romance should appeal to fans of Shadow and Bone. 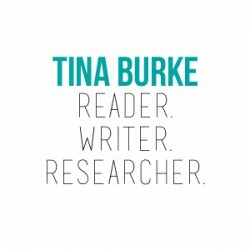 Lindsay Smith is also one of the few YA authors whose work seems to highlight political espionage. Of the books that feature political intrigue, most seem to be high fantasy, and even then few that I know of focus on espionage itself. It's wonderful. I love that element in Smith's work, and if you like Sekret and Skandal for that, you should also enjoyDreamstrider. The book builds action fast, especially given the nature of the main character's dreamstriding missions, so it's a good combination, too, of political intrigue, action, romance, and world-building. Dreamstrider takes something as simple as our dreams and fashions an entire society around them: a dreamstrider invading other bodies while their hosts dream; temples of priests devoted to shaping the dreamworld and studying the history fought between the Dreamer (the ultimate god figure) and Nightmare (the ultimate devil figure); theories focusing on how to manipulate dreams and the dreamworld; conversations devoted to sharing each other's dreams and interpreting what messages lie within from their god; and much more. And in taking something simple, Dreamstrider also carries an empowering message - this is tied intricately to the main character's growth arc, and may potentially be a spoiler should I discuss it further, but the message of hope, of fulfilling your own dreams is a strong theme throughout the work... and that inner core is what really made the book for me. As you may have inferred from above, I thought that the world-building was perfect. There were enough details to ground us in the Barstadt Empire (the priests, Dreamer/Nightmare, Hesse's theories, the Houses, class differences, and Writ of Emancipation, etc. ), while offering us the opportunity for more in another side novella (the history of the different countries, the first battle between Dreamer and Nightmare, etc.). I've seen it said that you'll come up with more of the world than can be mentioned in your book; this is certainly true of Dreamstrider. While the world-building provided a good backdrop for the novel, so did the romance; always it remained a side plot, fueling the main character's motivation and her character arc and adding emotional intensity but never overshadowing the main plot of political espionage. Livia, the main character, underwent significant growth throughout the novel. Her position as a dreamstrider is uncertain; the Minister for whom she works holds her citizenship papers over her head. At any moment, the life she has worked for and dreamed of might crumble around her feet, but she perseveres despite self-doubt and comes to realize more about herself, her powers, and her world. I already compared Dreamstrider to Shadow and Bone, but really, if you enjoyed Alina's character growth arc and her moment of embracing the light within her, Livia's self-acceptance and self-realization may also appeal to you. Bright with hope and inventive details, Dreamstrider tackles deeper issues like class warfare and historical constructs within an action-packed, intrigue-driven narrative led by a heroine as fierce as she is determined.